I love it when you call me big papa. The next set of free games with your Gold membership have been announced. As always, both Xbox One games are yours for as long as you keep an active Gold membership. The 360 games are yours even if you drop to Silver status. All four games will be playable on Xbox One through the backwards compatibility program. Starting off the month for Xbox One will be Super Mega Baseball 2. A baseball game that will release as part of the Games with Gold program. The second half of the month will have Metal Gear Solid V: The Phantom pain. The latest stealth-action game in the popular Metal Gear franchise. The critically acclaimed Super Mega Baseball series is back with gorgeous new visuals, deep team and league customization, and long-awaited online multiplayer modes. Fancy yourself as either a rookie or baseball purist, SMB2 packs a mode for everyone. Compete in ranked matchmaking (1v1), dominate friends in arranged matches (1v1, 2v1, 2v2), or take on the AI (solo, local co-op, online co-op) – all kept fair by the dynamic difficulty system known as Ego. Konami Digital Entertainment continues forth the ‘METAL GEAR SOLID V Experience’ with the latest chapter, METAL GEAR SOLID V: The Phantom Pain. Ushering in a new era for the franchise with cutting-edge technology powered by the Fox Engine, MGSV: The Phantom Pain, will provide players a first-rate gaming experience as they are offered tactical freedom to carry out open-world missions. Nine years after the events of MGSV: GROUND ZEROES and the fall of Mother Base, Snake a.k.a. Big Boss, awakens from a nine year coma. The year is 1984. The Cold War serves as the backdrop as nuclear weapons continue to shape a global crisis. Driven by revenge, Snake establishes a new private army and returns to the battlefield in pursuit of the shadow group, XOF. The METAL GEAR SOLID team continues to ambitiously explore mature themes such as the psychology of warfare and the atrocities that result from those that engage in its vicious cycle. One of the most anticipated games of the year with its open-world design, photorealistic visual fidelity and feature-rich game design, MGSV: The Phantom Pain will leave its mark as one of the hallmarks in the gaming industry for its cinematic storytelling, heavy themes, and immersive tactical gameplay. Key Features: – Open-World game design allowing players ultimate freedom on how to approach missions and overall game progression – Fox Engine delivers photorealistic graphics, thoughtful game design and true new-generation game production quality – Online connectivity that carries the experience beyond the consoles to other devices to augment the overall functionality and access to the game. 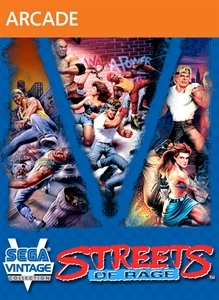 Xbox 360 owners will be getting Sega Vintage Collection: Streets of Rage on the first of the month. This is a collection of all three games of the fighting series. Picking up on the 16th will be VANQUISH. Which is a futuristic third-person-shooter that most people have likely overlooked. Join Axel, Blaze, and company as they battle the evil Mr. X across all three Streets of Rage games. Originally released for the Sega Genesis, the classic brawler series has now been updated for release on Xbox LIVE Arcade! Earn all new achievements, take on challenging new game trials, compete with others players across Xbox LIVE Leaderboards, and clean up the streets with a friend in two player local and online co-op! 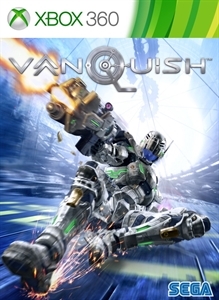 VANQUISH is a sci-fi shooter of epic proportions with a fast, fluid and frenetic combat system. It takes the shooter genre to the next level by adding unique offensive and defensive moves, and kinetic melee combat.